In Japanese, you say sayonara; in Korean, you say jagbyeol insa; in Hindi, you say alavida; and in Chinese, you say zàijiàn. When translated, this is how you say goodbye in these respective languages–and that’s what Asians are saying to the Republican Party. The Republican share of the Asian vote has been on a precipitous decline since the 1992 presidential election, the last race the GOP nominee was able to garner the majority of the Asian vote. Since then, it’s been a race to the bottom in national elections. The low point came in 2012, when 73 percent of Asians casted their ballots for Barack Obama. It’s shocking given how Asians view hard work, the importance of family, and their meteoric rise in American society. According to Pew, Asian Americans are the best educated demographic in the country. They have the highest household income in America, and they’re the fastest growing racial group. This is great progress since Asian Americans initially were comprised of low-wage, low-skill workers that lived in ethnic neighborhoods and subject to racial discrimination. The Los Angeles Massacre of 1871, the 1882 Chinese Exclusion Act, the Rock Springs Massacre of 1885, and the Immigration Act of 1924 are all prime examples of such discrimination and racially motivated violence. Since then, Asian Americans have enjoyed enormous success in climbing the socioeconomic ladder. According to Pew, they’re the demographic with the largest median household income. They have also have a strong emphasis on family; 54 percent say that having a successful marriage is one of the most important things compared to 34 percent of all American adults who agree with that view. It’s also a very effective anti-poverty program, but that’s a post for another time. Sixty-seven percent of Asian Americans also think that being a good parent is one of the most important things in life. Given the emphasis on the importance of family and raising children, Asian Americans are the demographic that’s most likely to be married, their children are less likely to be born to unwed mothers, and those kids are more likely to be raised in a two-parent households. Asians are also incredibly hard workers. Sixty-nine percent believe that hard work will lead to better economic conditions. On the flip side, Asian families have been criticized for pressuring their children too much in their schoolwork. Can you hear the Battle Hymn of the Tiger Mom? Across the board, Asians feel that America is the land of opportunity. They consider it a better place that helps the poor (we’ll get to that later), to raise a family, practice their religion, and express their political beliefs. Where they feel America is a little light is the emphasis on family ties. Asians are hard working, family-oriented, highly educated, and have made lives better in this county; they’ve clinched the American Dream. So why, then, aren’t Asians shifting toward the right? At Americans for Prosperity’s Texas Online Conference last year, Dr. Martha Wong, the first Asian American elected to the Texas House of Representatives, and a Republican, said that Democrats are just better at minority inclusion. In the Houston area, they’re at every gala, family dinner, and festival. Democratic lawmakers have one staffer whose sole job is to track and document all cultural events in their respective districts. While Republicans may proudly express their Christian faith, they must also recognize that while they’re on the stump, a lot of Asians are Taoist, Buddhist, and Muslim. With Asian Americans overtaking Hispanics as the largest group of new immigrants, the messaging on the immigration battle will be key as well. Talking points considered too negative will reflect poorly with these voters whose family members are mostly new immigrants. Politico had an interesting piece back in March of 2014 about a study conducted by professors Alexander Kuo, Neil Malhotra, and Cecilia Hyunjung Mo, which dissects why Asians veer to the left. The study also cites “microaggressions,” or race-based presumptions that might have Asian Americans view Republicans as “close-minded” or “ignorant.” A good example that Vanderbilt professor Cecilia Mo used to demonstrate this point is when someone says to an Asian American, “wow, your English is really good.” This will come off as a very bizarre comment for someone who’s lived here all his or her life. “In our lab, a white laboratory assistant made the comment to half the study subjects before asking them to fill out a survey on various political attitudes. Mo’s study also found that Asian Americans’ political affiliation is influenced by how issues are framed. “When Asian Americans are reminded of their shared political interests with other minorities, they are pushed to the left. We found evidence for this argument in the 2008 National Asian American Survey. To again get at causality, we conducted an experiment embedded in a national survey to corroborate this finding of the impacts of intergroup solidarity with African Americans and Hispanic Americans,” she continued. “We surveyed a large sample of Asian Americans and randomly assigned individuals to read different versions of a newspaper article that framed the important, high-impact issue of immigration in two different ways. 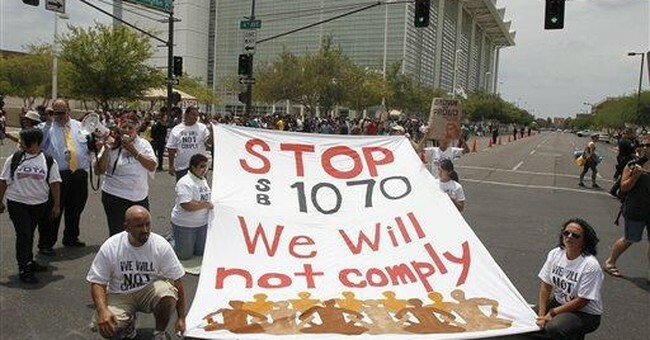 One article focused on the impact of Arizona SB1070, a law that required police officers to ascertain people’s immigration status, indicating the common status of immigrants of Asian and Hispanic origin. Another article focused on how the current immigration reform debate can pit higher-skilled immigrants from Asia against lower-skilled immigrants from Latin America. “About one-in-five Asian Americans say they have personally been treated unfairly in the past year because they are Asian, and one-in-ten say they have been called an offensive name. Older adults are less likely than young and middle-aged adults to report negative personal experience with bias. The 2014 midterm elections showed that this isn’t all doom and gloom. Asians swung back to the GOP that year, which shows that Asian Americans, like women and Hispanics, are not a monolithic group of voters -- and are a movable voting bloc in elections. Republicans seem to be getting more aggressive in their minority inclusion operations, especially in the Asian community. According to Lanhee Chen of Bloomberg, the Republican National Committee held campaign events in Korean and Chinese communities in Colorado for Cory Gardner; he’s now their U.S. senator. In Virginia, Chen noted that Republican Senate candidate Ed Gillespie and congressional candidate Barbara Comstock held events in the Old Dominion’s Chinese, Vietnamese, Korean, Indian, and Filipino communities. The Asian population in Virginia has exploded in recent years. Comstock went on to win her race; Gillespie lost to Democratic incumbent Mark Warner by a razor thin margin, despite Warner leading Gillespie by double-digits for most of the race. One thing that should be noted is that Asian Americans certainly noticed President Obama’s missteps in the realm of foreign policy before heading to the ballot box last year. Obama's lethargic pace on immigration had an impact as well. Then again, National Review threw some cold water on the 2014 exits polls, citing Asian Americans’ support for a larger federal government that provides assistance for the poor. In other words, Asian Americans, like other left-leaning demographics, could go squarely back into the Democratic camp by 2016. We shall see. 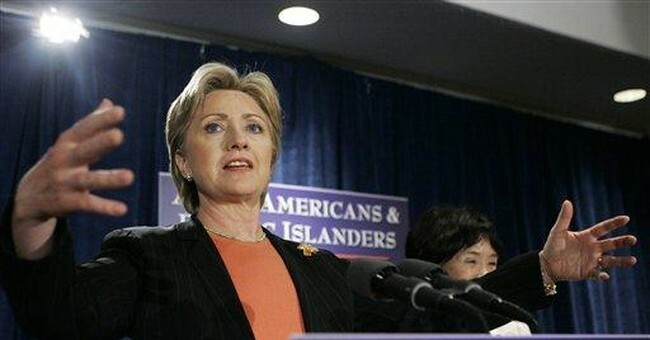 In all, Asian Americans are more than 16 million strong and represent 4 percent of all voters. Their influence on elections is just beginning—and they’re up for grabs.